To implement its 2008 goal and objectives for Iraqi refugees, the State primarily funded and monitored the efforts of its implementing partners, which included international organisations and non-governmental organisations (NGO). These activities provided Iraqi refugees and host country populations with vocational training, health care, food, education and financial support. However, the State did not clearly link program achievements to its started goal and objectives for Iraqi refugees. As a result, the State has had limited information to assess and report its progress in reaching its goal and objectives and improve program effectiveness. U.S. and international efforts to provide humanitarian assistance to Iraqi refugees in neighbouring countries are impeded by a lack of reliable estimates on the needs of Iraqi refugees. 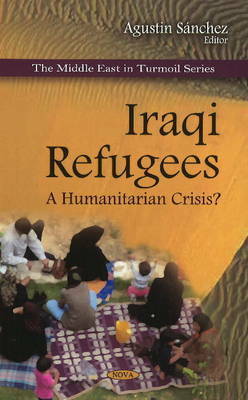 This book explains how the U.S. government and UNHCR face challenges in offering solutions for Iraqi refugees. In addition, this book provides an analysis of the current crisis, including an overview of the conditions for those displaced in Iraq and the refugee situations in Syria, Jordan and elsewhere. It also provides information on the U.S. and international response and examines refugee resettlement options in the United States. This book consists of public documents which have been located, gathered, combined, reformatted, and enhanced with a subject index, selectively edited and bound to provide easy access.